The best way to experience a new place is to sleep outside under the stars. Home of over 2000 natural sandstone arches and a plethora of wildlife including the peregrine falcon and technicolored lizards. Get all the information you need about going camping at Devils Garden Campground here. Miyajima is an island just a boat ride away from Hiroshima. Camping is allowed almost all year round, you can rent cabins and tents, and there are also adorable little shops and very cool temples to check out. The domesticated deer who hang out and are completely human-friendly. According to the Washington Trails Association, no one returns disappointed after "frolicking among fields of flowers, peaks of ice, and boulders bearing basking marmots-some of the most outstanding alpine landscapes to be found anywhere in the world." Rent a campervan, drive around the country, and see all that New Zealand has to offer, from craggy mountains to kayaking and beautiful blue skies. From Fjallraven's blog: "Northern Lights. Swimming in Caves. Sand-papered toes. Waterfall ice climbing. Sand filled sleeping bag. Coves, cliffs, and kayaking." SOLD. That starry night sky should be convincing enough. Get more information on fees and reservations here. Minchin Cove is an abandoned settlement in Terra Nova National Park. You'll go hiking through coves, canyons and coastal waters. Camp among the Redwoods at Big Sur. Get more information here. If you're into hiking, this trail passes through crystalline lakes, tiny villages, and of course, very epic mountain views. 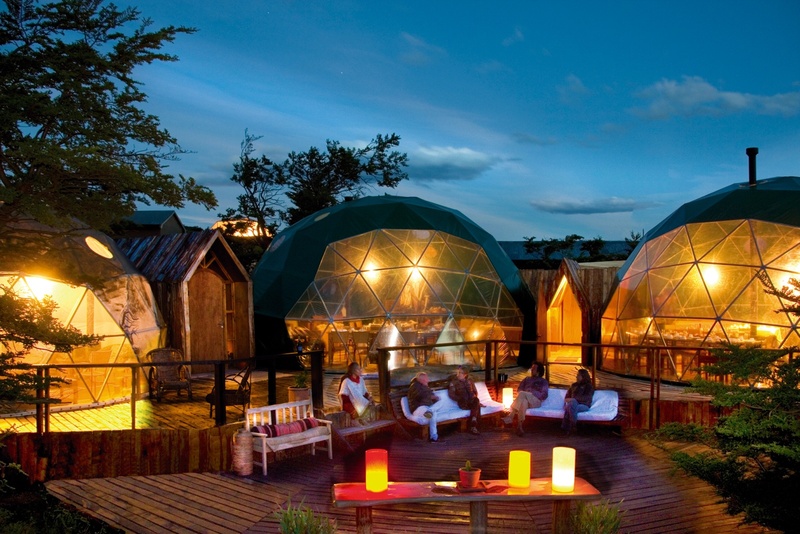 If you're more obsessed with "glamping," you'll get the amenities of staying in a hotel with all the romantic camping experiences like sleeping under the stars, wildlife, and spectacular views. Get more information here. Catalina Island is a gorgeous place to camp near crystal blue waters and go kayaking. Get more information here. In the summer, it's surprisingly pleasant in Iceland. If you go at the right time, you can catch a very stunning view of the Northern Lights. You agoraphobes can have your very own private island to camp on. Get more information here. "Within Jasper National Park lies an amazing collection of lakes, hot springs, waterfalls, glaciers, and massive mountains." There's also fishing, skiing, kayaking, swimming, and a protected ecosystem of wild animals. Get more information here. Sleep under the Aurora Borealis and get pulled in a sledge by Norwegian Fjord horses. Just a ferry ride from Washington, the San Juan islands are a classically beautiful place to go camping with sparkling blue waters, deep forests, and waterfalls. Get more information here. Ever wanted to live in a Free People ad? Get more information here. One of the most beautiful places in the world to go camping on the beach. This national park on the border of the U.S. and Canada offers hundreds of lakes and a huge array of flora and fauna. You may have seen these photos floating around, but know that the dream is real: get more information here.